The life of RV batteries will be longer and more productive if charged correctly. 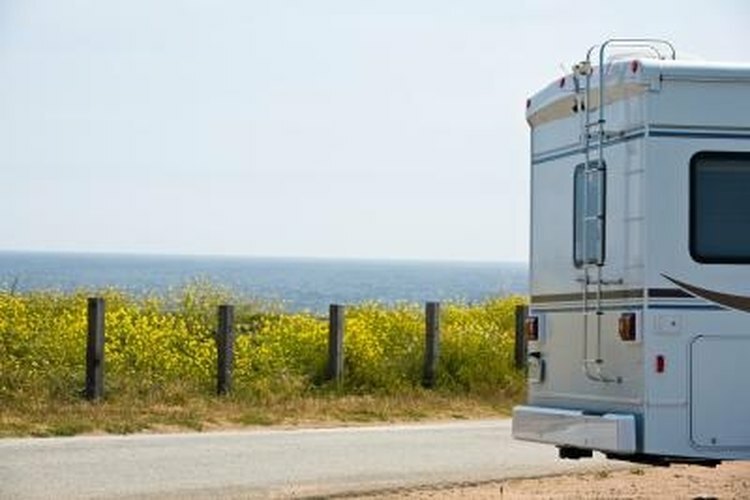 Most RVs depend on a generator and a 12-volt converter to charge the house batteries. There are many types of batteries and a choice of converters, each with their own way to charge RV batteries with a generator. Converter is an electrical device that converts 120 volt power to 12 volts DC power for use in the house--the living area of the recreational vehicle. Converters also can charge the house batteries. Generator is a gasoline, diesel or propane-powered device used in an RV for generating 120 or 240 volts AC electrical power. Generators also can charge the house battery. Know which type of battery is in the RV. There are starting, marine and 12- and 6-volt deep cycle batteries. Depending on how much room, and the correct wiring, there could be two batteries in the RV to run the 12-volt appliances in the house. Knowing which type is in your RV is important, so recharging is done correctly and for enough hours to give it a full charge. For those who use their RV for "unplugged" excursions a 6-volt deep cycle battery or two will meet your needs. Proper care of the battery directly affects the recharging capacity and the duration of life. Keep an eye on the electrolyte level and replenish with distilled water. Keep the RV battery charged properly and avoid deep discharge of lower than 20 percent which will extend the battery life. The generator in an RV uses a converter, which converts 120 volts to 12 volts, and is not designed to be a battery charger. The main use of the converter is to provide 12 volt power for your rig while plugged in to an A/C outlet. Running the generator will charge the house batteries at a slow rate. Be sure all appliances are turned off to allow the generator to charge the battery. If the battery is down to less than a 50 percent charge, the generator will have a hard time recharging fully. Plugging into A/C power and letting the converter run will not get the battery to a full charge; it just gets you by. A good alternative to a typical RV converter is a three-stage battery charger. They are fully automatic and will charge your RV battery quicker, even on generator power. The use of a three-stage charger will improve a deep-cycle battery's performance and lifespan. This type of charger is included in newer models of RVs or can be purchased to replace the existing converter. According to Onan, the power required from the generator for battery charging is determined by many factors, including battery size, converter output rating, amps required from the generator, how many 12-volt lights and appliances that are running during the re-charge cycle, and how far the battery has been discharged. For a typical 100A battery charger with the battery bank size of 800, as an example, it would take 2.4 hours to fully charge the battery if it was at 80 percent of full charge and up to10.4 hours to fully charge when the battery was at 20 percent of full charge.